While the death of a well-known public figure will obviously make the news, there are many injuries due to exercise equipment that don’t make the headlines. In a study published in 2013, researchers used the National Electronic Injury Surveillance System (NEISS) to identify emergency department-treated injuries that occurred due to mechanical home exercise equipment between 2007 and 2011. Their research covered a variety of injuries that are often suffered on exercise equipment, including cuts, soft tissue injury, sprains & strains, fractures, head injuries including concussions, and burns. They found an estimated 70,302 injuries attributed to mechanical home exercise equipment! The majority of the injuries were to children (age 0-9) and adults age 45 and over. These statistics seem to be growing as more people are using exercise equipment at the gym or at home. According to the NEISS database, there were 316,206 exercise equipment related injuries treated in emergency rooms between 2013 and 2017! That’s an average of 79,051 each year. This is in addition to the 26,442 injuries that required patients to be admitted for hospitalization. 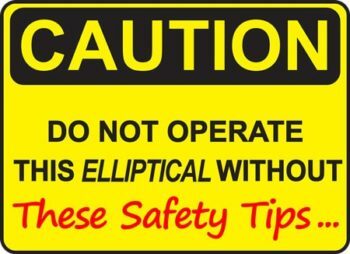 Even though we are aware of the bad things that can happen, that doesn’t mean you need to be afraid of using your elliptical. We’ve put together a list of tips to keep you safe every time you hop on for a workout. Keep these tips in mind to get all of the benefits that these awesome machines have to offer. There are two things to think about when we talk about “space” for exercise equipment: yourself and the machine. You need to make sure that you have plenty of room to get on and off of your equipment safely. If you’re having to step over or around obstacles to get on your machine, you’ll want to do some rearranging. You also need to make sure that there is plenty of room for the machine itself and all of its moving parts. For instance, the Freestride Trainer FS9i has moving parts that extend far in front of the machine. Wearing the right shoes can make all the difference. You wouldn’t try to run a marathon in flip-flops right? When using your elliptical make sure that you are wearing closed toe athletic footwear. 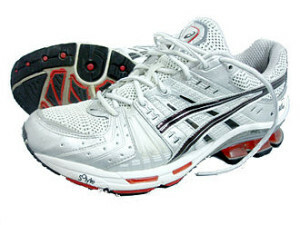 You will want shoes that provide support and shock absorption. Also, make sure that the tread isn’t worn down, you want your shoes to grip the pedals and keep you stable. Before you begin any exercise regimen, it is important to evaluate what you are capable of…and be honest with yourself. If you are new to working out or have an existing medical condition take is easy, you don’t need to work yourself into the ground to see results. As Fred Water, industry expert, shared, “Start slow. Besides the potential for heart issues, you could do serious damage to the lower body joints if you overdo it the first time.” It is also always a good idea to check with your doctor if you are starting a new exercise program. Not all ellipticals are the same and you need to make sure that you are choosing the machine that is right for you. This starts with simply getting on the machine, some are easier to get onto than others! For instance, if you are older or have hip issues, you will probably prefer a front drive machine to a rear drive model. In general, front drive machines have a lower step-up height which makes getting on and off easier. You may also want to check out the Horizon machines. They are specifically built with a 6-point system to provide an easier step up. Horizon Elite E7 – Read our full review here. This is another area where you need to honestly evaluate your abilities. If you are struggling to keep up with the speed or really pushing to get up that incline, you are putting yourself at risk. Simply take it down a notch! You will still be getting the cardio and strength benefits of your elliptical and you’ll be able to do it properly. This is also important if you are choosing from the preset workout programs. Check out the workout and make sure you know what you are getting into before you start moving. If you have small children or pets in your home, you need to make sure that they aren’t at risk while you are working out. There are lots of moving parts on an elliptical that can catch tiny fingers or knock them down. This is also for your own safety. You can be seriously injured if you suddenly have a pet or child trying to jump or climb onto the machine while you are using it. You are busy, we get it! But your elliptical needs your attention more than your phone or your TV. 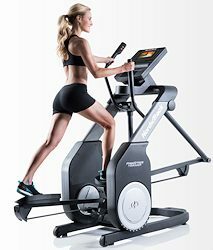 Most elliptical models have a screen designed to keep you involved in your workout, and not on outside distractions. Your workout is your time to focus on your goals and progress, don’t let the outside world put that at risk. Safety isn’t just for when you are actually on the machine. When you are done, make sure the machine is complete turned off and closed away from young children. Your elliptical isn’t a jungle gym and children can be easily injured if they are climbing on the machine. Your elliptical can be a great way to get in shape, give your heart the exercise it needs and become the best version of yourself. Next time you’re ready to hop on remember these tips to keep yourself and your loved ones safe. 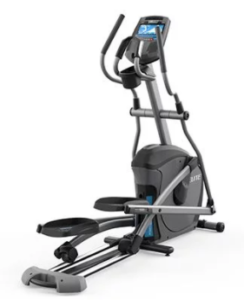 Check out our list of Best Buy Ellipticals here so you can find the perfect machine for your body and budget.